In October, 1827, an assault was made at Lahaina by the crew of the ‘John Palmer’ … the crew had opened fire on the village with a nine-pound gun, aiming five shots at Mr Richards’s house, which, however, did little damage. Hoapili received the backing of Richards and other missionaries. As the guns of the whaler fired, the women took refuge in the cellar. No one was killed. 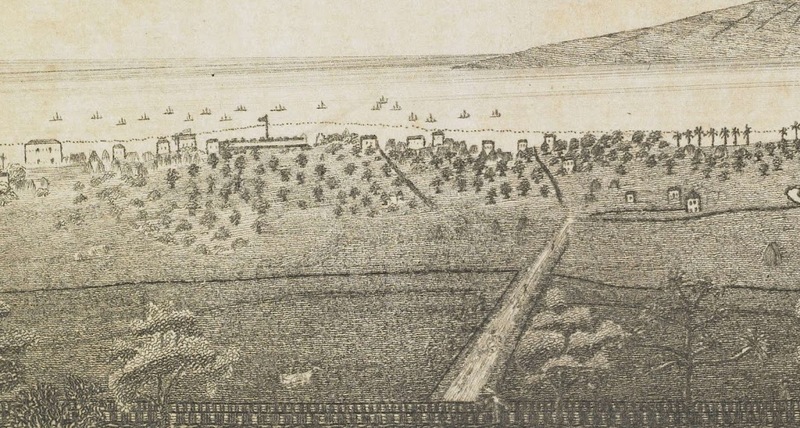 Likewise, the Lahaina Fort, originally built of mud and sand to protect the town from riotous sailors when Lahaina was used as an anchorage for the North Pacific whaling fleet, was reinforced and coral blocks added to the walls and canons, salvaged from foreign ships, were added to the armament. The old fort was demolished in 1854 and the coral blocks used in other construction projects in Lahaina. After the fort was demolished, a courthouse was built on the site. A portion of the old Lahaina Fort was reconstructed in 1964. Outer wall, Old Prison (Hale Paʻahao), Lahaina Historic District, Lahaina, Hawaii, built 1830s. “(T)he citizens of Maui in particular, and of the Territory or Hawaiʻi in general, as well as many strangers who, in the past, have visited Maui, up to the present time have been required to submit to the most unsatisfactory, antiquated, and often dangerous methods of landing”. 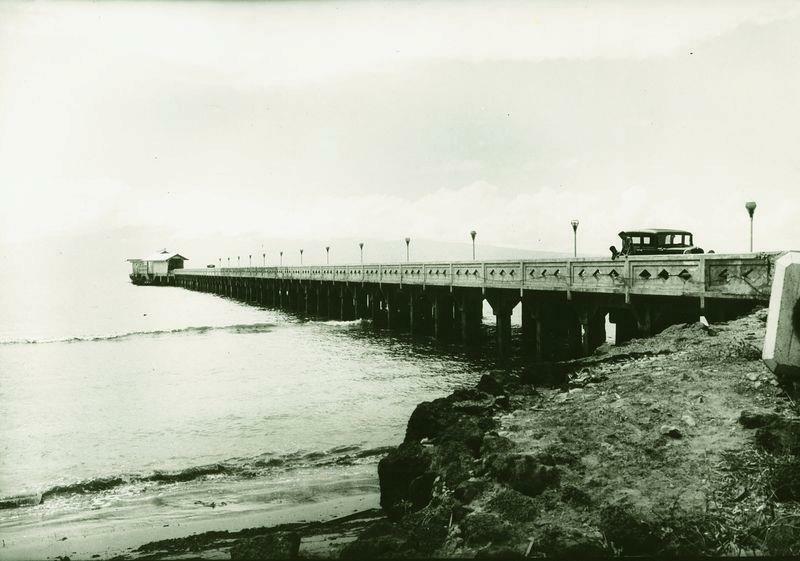 Māla Pier, dedicated in 1922, planned to eliminate the inconvenience of light freighters to load/unload steamers anchored in Lāhainā Roadstead. The Maui Chamber of Commerce went on record as strongly opposed to the use at Māla Wharf of small boats from and to the steamers Mauna Kea and Kilauea. Nearby was the Baldwin Packers pineapple cannery, it was hoped that this new pier would facilitate transporting the pineapple. Likewise, sugar from the upslope Pioneer Mill was expected to be run out the wharf to be loaded directly onto large ocean voyaging cargo vessels. Building the massive wharf in those days was no minor undertaking and the army corps of engineers developed the design and erected the wharf. It was noted at the time that Hawaiians familiar with the local tides, coastline and ocean activity recommended against its construction in that location. The ill-fated structure was built anyway and on the very first attempt to pull a cargo ship alongside the wharf for loading the vessel crashed into Māla Wharf causing serious damage to the structure. It was soon discovered that the ocean currents at Māla Wharf were too treacherous for the ships to navigate safely. Produce had to be taken by barge to awaiting ships. By 1932, the roads have been improved enough to transport the fruit by truck to Kahului Harbor. The State closed the wharf in the 1950s. Several subsequent plans have been discussed to the pier and adjoining lands. In 2012, principals of Harbor Quest LLC discussed plans for another boat harbor at Māla. While the discussions seem to continue, what appears constant is that Māla provides popular surfing and diving opportunities for Maui residents and visitors. The image shows Māla Wharf at its blessing in 1922 (Maui News.) In addition, I have added other related images in a folder of like name in the Photos section on my Facebook and Google+ pages.